A leaked image shows us what Nokia has been planning with their upcoming flagship. The Nokia 9 is expected to come with five rear cameras. 2018 has been the year for innovation and implementation. We saw the Huawei come sporting three rear camera sensors on the P20 Pro and more recently there are rumours flying around which claim Samsung is working on an A Series smartphone that features 4 rear shooters. 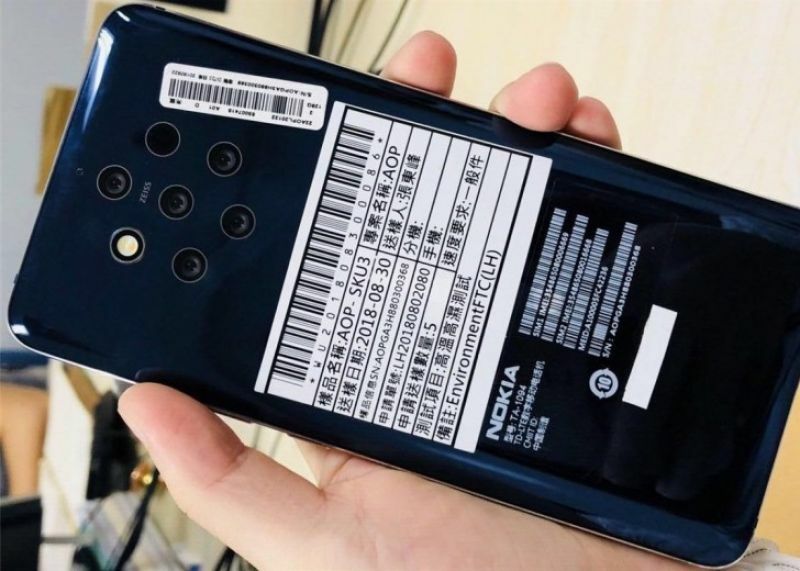 Now, a leaked image has popped up that show an unnamed Nokia handset that boasts of not three, not four but five rear cameras, taking innovation to a whole new level. Rarely do we get so excited about optics but a phantom Nokia handset sporting five rear shooters are leaving us in anticipation for its launch. As per a report by GSMArena, the person who leaked this handset refers to it as the Nokia 9, however, it could also be called the Nokia 10. But one thing is for certain — this will be the brand’s flagship handset. 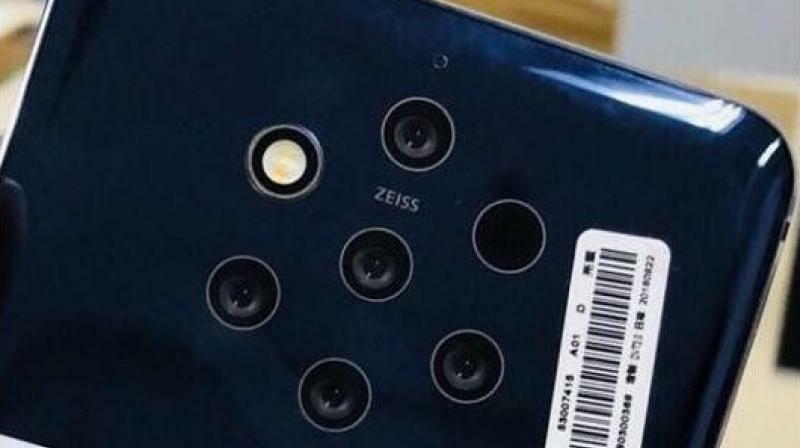 The camera array appears to be odd-looking and it also comes with two additional circles, one for the LED flash and the next for IR focusing. We can also see the Zeiss branding and the handset appears to have the TA-1094 model number. From the leaked image, we can also gather that the handset’s rear will be made from glass that curves towards the edges. This could also indicate that it should feature wireless charging. The report goes on to state that if the handset does indeed launch this year, it will feature Qualcomm’s Snapdragon 845 chipset. Back in March, Nokia promised that the device would have a ‘best-in-class’ camera and it appears that the brand will be delivering on that front. We can also expect the handset to feature an in-display fingerprint sensor since there is no traditional fingerprint sensor on the rear. Disclaimer: The above report is completely based on online rumours and leaks from the respective sources. These views and opinions do not necessarily represent those of The Asian Age and/or other staff and contributors to this website.